7x7SF - People, stories, style. 48 Hills - Investigative reporting on San Francisco politics, arts and culture. Able Dart's Wall - Opinions and rumors related to San Francisco politics and governance. All Shook Down - SF Weekly music blog. Around Dublin - Covering news in Dublin, a suburban city of the San Francisco Bay region of Alameda County, California. AsianWeek - National English language news weekly for Asian Americans, serving Chinese, Vietnamese, Filipino, Cambodian, Indian, Korean and Japanese-American readers. Based in San Francisco. Bay Area Reporter - LGBT news weekly serving San Francisco's lesbian, gay, bisexual and transgender communities. Bay Area Observer - San Francisco media, culture, politics, locale. Bay Area Video Coalition (BAVC) - Empowering media makers to develop and share diverse stories through art, education and technology. Bay Citizen, The - Founded in 2010 as a nonprofit, nonpartisan news organization dedicated to fact-based, independent reporting on civic and community issues in the San Francisco Bay Area. Bayzest - A lifestyle blog that focuses primarily on Santa Clara, San Mateo, Contra Costa, Alameda, Napa, Sonoma, Marin San Francisco counties. Find information and reviews about food, wine, real estate, design, travel and much more. Berkeleyside - Reporting people, issues, events, food and environment in Berkeley, California. Beyond Chron - San Francisco's alternative online daily. Berkeley Daily Planet - East Bay's independent newspaper. Berkeley Liberation Radio: On air at 104.1 FM or streamed online. Berkeleyside - Reporting on the people, issues, events, food and environment of Berkeley. Founded and produced by Lance Knobel, Tracey Taylor and Frances Dinkelspiel. Beyond Chron - San Francisco's alternative daily. Bohemian - Sonoma, Napa and Marin county news, movies, music, arts, and entertainment. Bold Italic, The - Online magazine that celebrates the character and free-wheeling spirit of San Francisco and the Bay Area. California Northern - A biannual publication exploring the region's cultures, environments, histories, and identities. It provides a rare California-based forum for exceptional essays, long-form journalism, literature, and photography, and distinguishes itself from traditional regional media by balancing its local emphasis with a level of sophistication and depth typically found in larger national publications. Calitics - A progressive open source news organization for California politics. Carl Nolte - Carl Nolte writes about his beloved SF Bay Area for San Francisco Chronicle at SFGate. Also read his columns. Contra Costa Times - Walnut Creek news. Curbed SF - Weblog about San Franciscans, their neighborhoods, real estate, and living in this San Francisco. Daily Californian - University of California, Berkeley daily newspaper. Daily Clog, The - A Cal blog by The Daily Californian. Diablo - Covering topics ranging from travel, culture, and personalities to entertainment, recreation, and food, Diablo magazine is written specifically for the San Francisco East Bay market-from Central Contra Costa, into the Oakland and Berkeley Hills, and throughout the Tri-Valley. District 5 Diary - Rob Anderson's commentary on San Francisco politics from District 5. East Bay Express - News coverage for Alameda and Contra Costa counties. El Tecolote - The longest running Spanish/English bilingual newspaper in California. El Tecolote's archives represent a historical record of Mission district activism and the social, political, cultural and economic development of the community since 1970. EPA and Around the Bay - Blogging on East Palo Alto. Fog City Journal - Bay Area news, politics and art. Published by Luke Thomas, photojournalist and former co-owner of the San Francisco Sentinel. Golden Gate Express - Providing an independent and accurate information source for the San Francisco State University campus and the greater Bay Area community. Grade the News - Assists San Francisco Bay Area residents in assessing the quality of the news they rely upon. Half Moon Bay Review - Community newspaper serving the San Mateo County Coastside covering local politics, local sports, local environmental issues and local features. Hoodline - Restaurant openings, housing developments, retail news, crime, transportation issues in San Francisco neighborhoods. Hyphen - Asian American magazine and blog. Based in San Francisco. India West - Weekly Indian newspaper: San Leandro. Irish Herald, The - California's oldest Irish newspaper, based in San Francisco. International and local Irish news, entertainment listings, music and book reviews, advice on immigration, real estate, business and finance, travel stories and sports updates. J Weekly - Judaism and Jewish life, news and resources. KALW-FM 91.7 - Information radio. Karen D'Souza - Theatre critic for San Jose Mercury News. KCBS 740 AM - News, traffic, weather, finance, sports. KGO-Radio - 810 AM newstalk radio. KGO-TV - ABC Channel 7. KPFA 94.1 FM - Berkeley, California - Much of KPFA programming is local, original and eclectic, with a well-produced mix of news and in-depth public affairs, ongoing drama, music, literature and performance series, interviews, and reviews. KPOO - Listener-sponsored radio at 89.5 FM, San Francisco. KQED Arts - Reporting on the arts. KQED Pop - A daily blog that examines the social and cultural impact of music, movies, television, the internet and other collective experiences. KQED Public Broadcasting - KQED TV9 and KQED Radio 88.5 FM, San Francisco. Also see KQED News. KRON-TV - Channel 4 and live streaming. KUSF 90.3 FM San Francisco - University of San Francisco radio station. Adventurous and diverse musical playlists. Laughing Squid - Art, culture and technology. Los Angeles Times - The largest metropolitan daily newspaper in the country. Marin Independent Journal - Based in San Rafael. Marin Magazine - People, politics, dining, events, entertainment, spas, golf courses, art galleries, real estate of Marin County. Maynard Institute for Journalism Education - Through its professional development programs, the Institute prepares managers for careers in both business -- and news -- sides of the journalism industry. The Institute has a history of training and placing more nonwhite journalists than any other single institution in the country. Metroblogging: San Francisco - A hyper-local look at what's going on in the City. Mission Local - Mission District's news, food, art and events. News Fix - KQED's news blog. Nob Hill Gazette - Bay Area social and philanthropic monthly newsmagazine. Noe Valley SF - Local guide to Noe Valley. Noe Valley Voice - Independent free newspaper created for and about Noe Valley. It is published 10 times a year (monthly except January and August) and distributed the first week of the month. Nowtopian - Chris Carlsson on economy, technology, public space, and San Francisco past and present. Oakland Local - Focusing on topics including environmental justice, food distribution, transportation, development & housing, and gender & identity, Oakland Local does original reporting and publishes information from local non-profits and community organizations within a range of Oakland neighborhoods. Oakland Post - African American weekly newspaper in Northern California. Oakland Seen - Mix of radio broadcasts, social networks, community news and a group blog with Oakland's voices weighing in on everything from local politics, jobs, education, business and entertainment. Post, The - Oakland news. Richmond Confidential - Produced by the Graduate School of Journalism at UC Berkeley for, and about, the people of Richmond, California, covering education, development, politics, culture, crime. Oakland Magazine - Daily resource for Oakland restaurants, events, and lifestyle. Oakland North - A news project of U.C. Berkeley's Graduate School of Journalism. Oakland Tribune - The Tribune newspaper serves much of the East Bay, while focusing on the communities of Oakland, Berkeley, Albany, Richmond, El Cerrito, Emeryville and Piedmont. On Your Side - Consumer news and information from local San Francisco Bay Area Channel 7 TV Fox News. Call in your consumer complaints to 415-954-8151. Pacific Sun - Marin local news. Palo Alto Online - Offers access to the entire contents of the Palo Alto Weekly, including back issues beginning in 1994, as well as a wide range of information about the Palo Alto area. Point Reyes Light - A weekly newspaper serving western Marin County. Poor Magazine - Poor Magazine was started in 1996 by an indigenous, landless mother and daughter who struggled with extreme poverty, incarceration and criminalization in the U.S. Poor Magazine, the organization, is a poor people led/indigenous people led non-profit, grassroots, arts organization dedicated to providing revolutionary media access, arts, education and solutions from youth, adults and elders in poverty across Pachamama. Richmond Review - Serving the Richmond District. RichmondSF - Blogging on the Richmond District neighborhood of San Francisco. Sacramento Bee - Sacramento daily metropolitan newspaper. San Francisco Appeal - Online SF news, culture, food, weather, events. San Francisco Arts Monthly - Comprehensive monthly listings of arts and cultural events in San Francisco, reviews and resources. San Francisco Bay Area Independent Media Center - Local news, politics, activism. One of two IMC collectives in the Bay Area. San Francisco Bay Crossings - Bay Crossings appears monthly and features articles of interest on San Francisco Bay cultural, environmental and maritime issues. San Francisco Bay View - A weekly newspaper of news and views of the Black community, both locally and throughout the diaspora - from business and politics to arts and entertainment. San Francisco Bulldog - Online resource for San Francisco politics and the arts. San Francisco Business Times - American Business Journal daily edition of the San Francisco Business Times. San Francisco Call - Weekly providing coverage of local politics, reports on community meetings, reviews, poetry, and musings about city life. San Francisco Chronicle - Daily newspaper. Contact Editorial News City Desk at (415) 777-7100. San Francisco City Statistics and Demographics - Based on US Census data. San Francisco Examiner - Daily newspaper. San Francisco Flyer - A newsletter of opinion and analysis published Tuesday, Wednesday and Friday. San Francisco Geneology - Part of the CAGenWeb and USGenWeb projects. San Francisco Magazine - Articles, restaurant reviews, event listings, archives, classifieds, and subscription info. Marina Times: The Marina, Cow Hollow, Pacific Heights, Fort Mason, The Presidio (94123, 94115, 94109, 94129). Westside Observer: West Portal, St. Francis Wood, Twin Peaks, Westwood Park, Forest Hill, Parkside, Ingleside Terrace, Glen Park, Lakeside, Miraloma Park, Park Merced, Lake Merced, and the Outer Sunset (94127, 94131, 94132). San Francisco Radio Dial - Listing of SF radio sttaions, formats, call letters, frequencies. San Francisco Reader - Bay Area writing and images. San Francisco Sentinel - Political news daily. San Jose Inside - A look inside San Jose politics and culture. Saturday Matinee - Thoughts on theater in the Bay Area. SF Public Press - Public-interest news reporting with 70 professional and volunteer journalists and nonprofit specialists. Goal is to create a sustainable, replicable noncommercial business model for delivering quality local journalism. SF Weekly - San Francisco news and arts weekly newspaper. Also see SF Weekly's The Snitch blog. SF.StreetsBlog - A daily news source connecting people to information about sustainable transportation and livable communities. SFStation - San Francisco city guide. SiliconValley - High tech news, columns, features, investment and company information, headlines from Silicon Valley. Silicon Valley De-Bug - Publication made by young workers, writers, and artists in Silicon Valley. Stories and pictures on youth and working people's lives in Silicon Valley. Snitch, The - News, politics, opinion blog of Ben Wachs via SF Weekly. Soma FM - New and classic Indie tracks, Low-Fi, Slowcore, Ambient, Trip Hop, DreamPop commercial-free, underground/alternative radio broadcasting from San Francisco. Stanford Daily - Stanford University daily newspaper. Street Sheet - Newspaper written, edited and produced by homeless people and poverty activists. Street Sheet is sold by street vendors who keep the money, providing a support system and a voice to people shut out of corporate America. Sunset Beacon - Serving the Sunset and Parkside Districts. Times-Herald - News from Vallejo. Twitter - An online social networking service and microblogging service that enables its users to send and read text-based posts of up to 140 characters, known as tweets. It was created in March 2006 by Jack Dorsey and launched that July. The service rapidly gained worldwide popularity, with over 500 million active users as of 2012, generating over 340 million tweets daily and handling over 1.6 billion search queries per day. 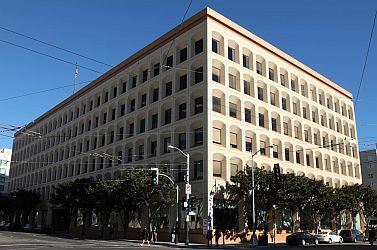 Twitter Inc. is headquartered in San Francisco, with additional servers and offices in New York City, Boston, and San Antonio. Also see Wikipedia article. Usual Suspects, The - San Francisco political zine. Wall, The - Message board. A place where you can discuss what is wrong (or right) with San Francisco politics, society, and civic culture. This webpage last updated on Monday, January 21, 2019 1:33 PM.